You know, how they usually compare when they put your old pictures and current pictures side by side for a comparison during a skincare product Advertisement? Yah, here you go. Not only me, but also my lovely GF! 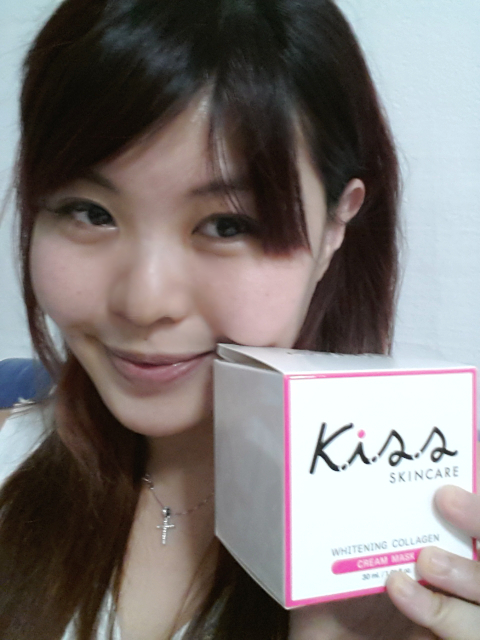 Today i am sharing about a rather new Korean Skincare/ Beauty Brand in Singapore. I am not sure if they are new, but frankly, they are to me because i only get to know about this brand not too long ago. The Brand of the product is sOmang. You may either check them out at their FB or their Website. Perhaps they have been around for sometime but for those that have not heard about them like me, you may read them up ya. 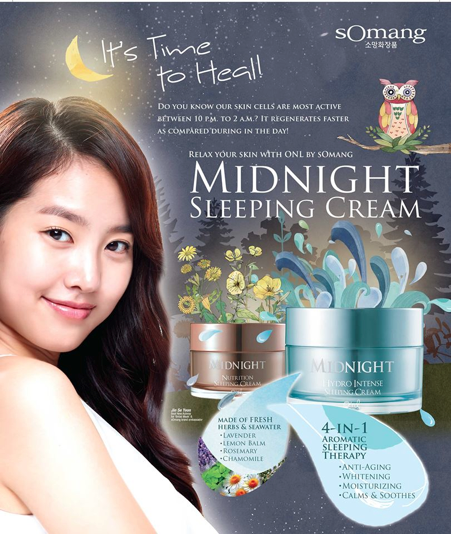 This review is not sponsored and i am gona share my experience with their popular product – ONL by sOmang Midnight Regenerating Hydro Intense Sleeping Cream. 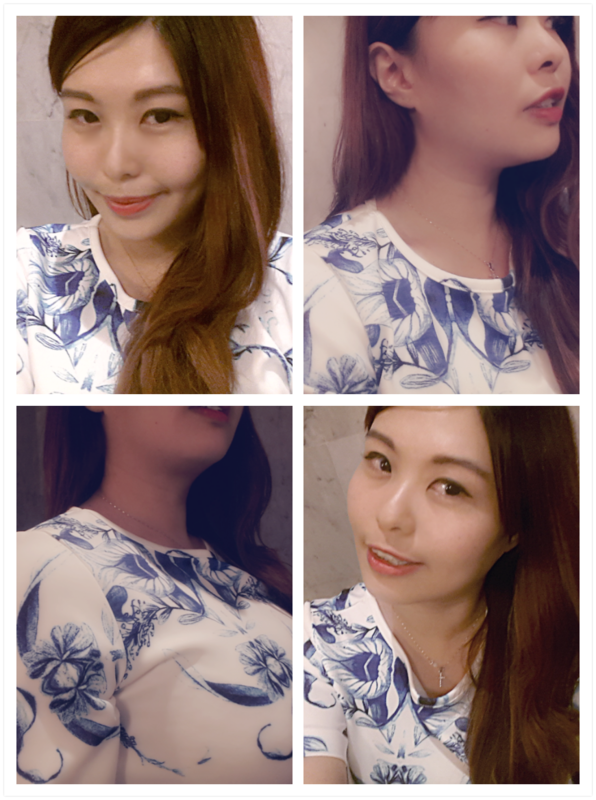 It was around Mid Autumn Festival that i came to know about sOmang. 1 of their staff came to my workplace and brought tons of samples for me. I do not know him prior to the meeting but it was really a nice gesture. Basically, he just wants to let me try out the products with no obligations nor agenda. I was kinda blessed that day. So, there are alot of different products inside the bag but i gave some to my boss. 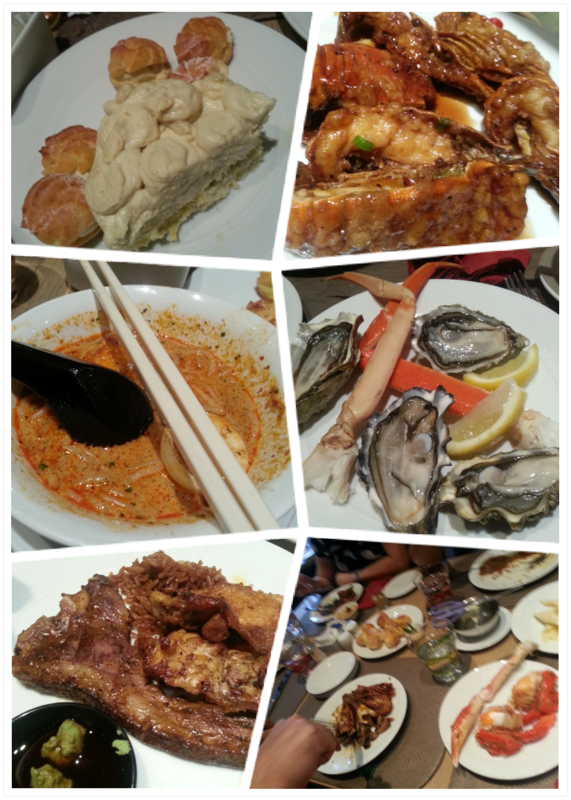 I am sucha sharing person. Haha. 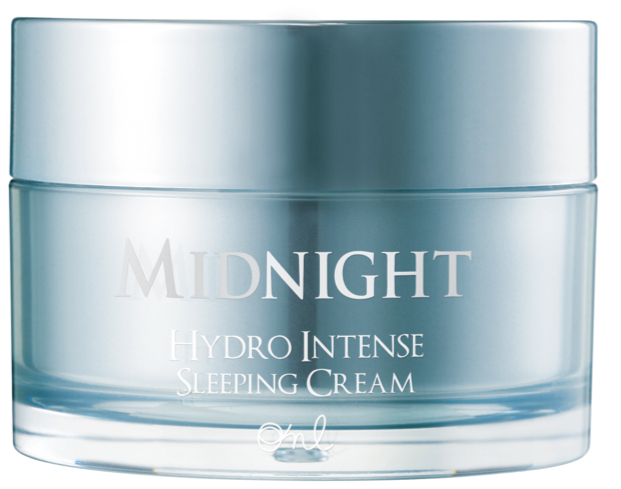 So, i havent finish using all the other products but i have started on the sOmang Midnight Regenerating Hydro Intense Sleeping Cream and am finishing it. 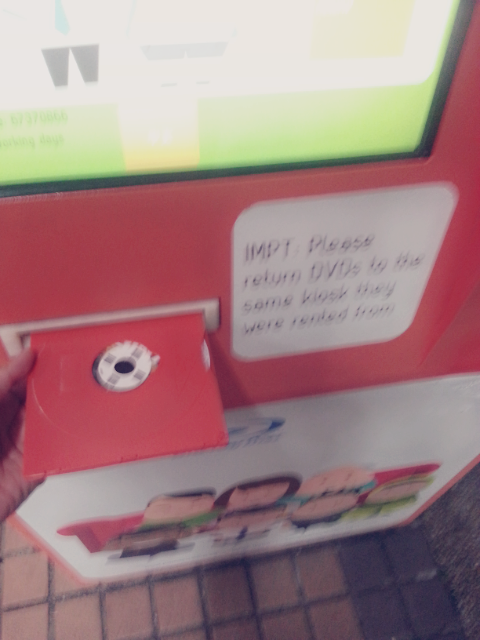 And i thought to myself: oh man, sucha small packet! It’s not even enough for 1 side of my face please! 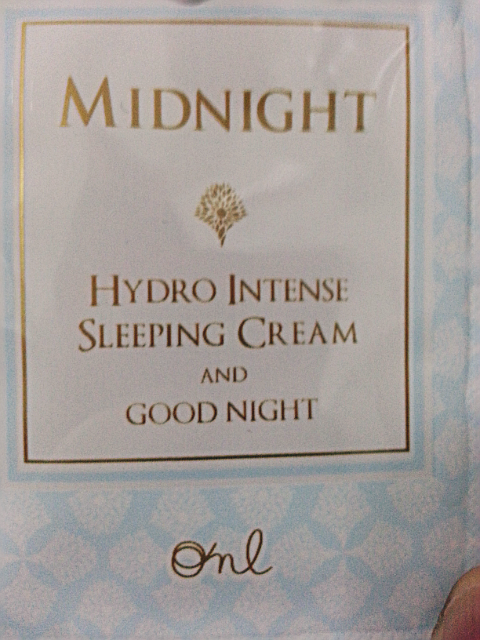 But to my pleasant surprise, the small sachet of sOmang Midnight Regenerating Hydro Intense Sleeping Cream (almost half the size of your Samsung s3) can last me up to 2 times of usage. I still have leftover and i will prolly use it (the 3rd time) this weekend again. 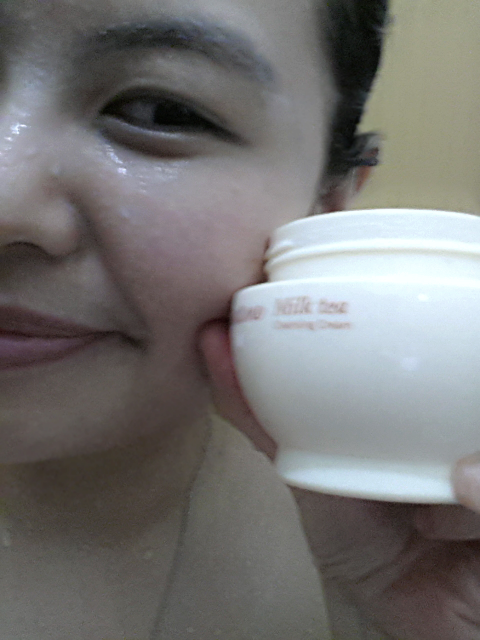 So, either my face is not that big or the cream is really alot in the small sachet. 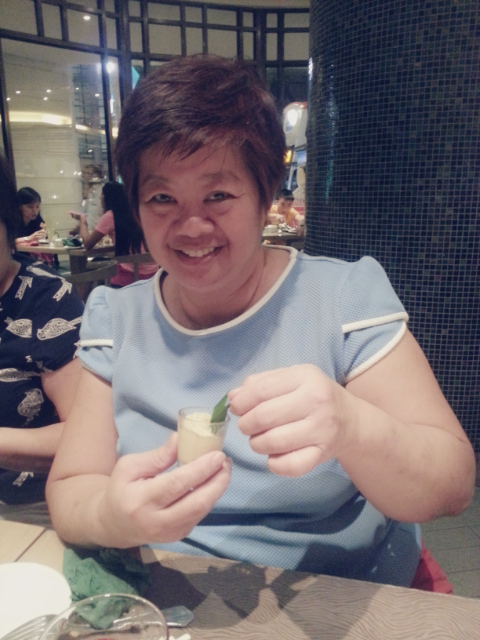 Is not that i am so greedy that i have to split the pathetic small sachet into 3 times. 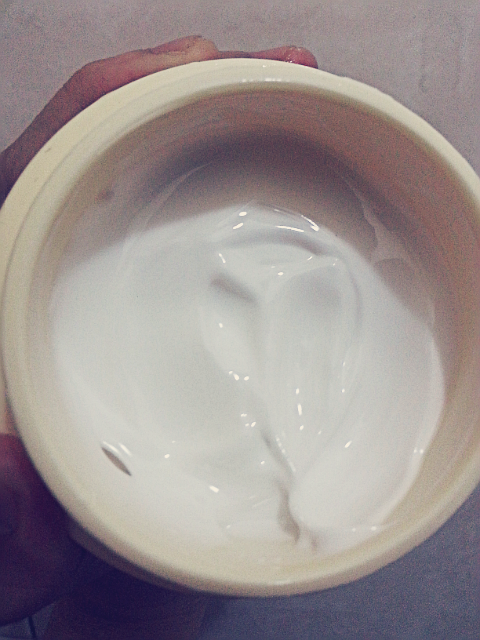 But, there is really alot of cream and i have tried my best to spread my whole face but there is still so much left. Uh huh, no choice, but to keep it for the next time. • Induces sleep, calms nerves and recovers skin from fatigue. • Rich in protein, lactose, lactic acid, vitamins and other inorganic substances that help skin regeneration. 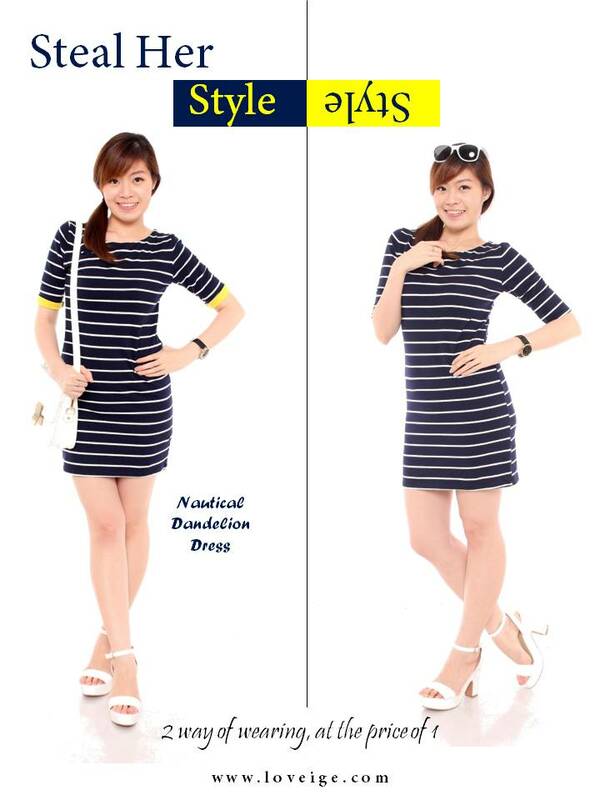 It also soothes and responds to skin damages caused by UV rays and other harmful elements. 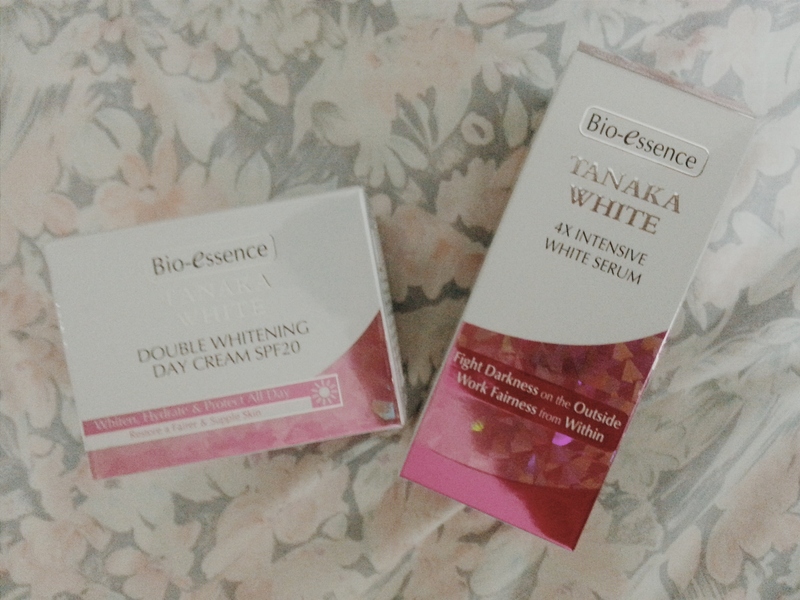 It was my first time using the product and to be honest, i was really impressed by its pretty packaging even though it was just a sachet. After i opened the sachet, the first thing that strikes me was the smell of the product. It smells so good that i cant stop sniffing my fingers as i spread the cream all over the face. Now, i do not know how to describe the scent, it is neither fruity, floral or anything. 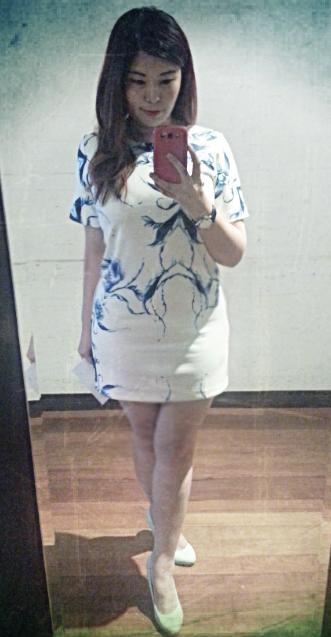 But it is just so nice and really, i duno how. LOL. The texture of the cream feels very “Matty” and “Waxy” , it is a light water-based cream that looks matt but according to the researches i made online, it does not compromise in providing deep hydration with anti-wrinkle and whitening effect. It does absorbs easily into the skin and is said to be suitable for all skin types. It glides on easily on skin. The brand also claims that It forms a layer of protection that increases skin moisture retention and elasticity. It was kinda contradicting for me because upon spreading on my face, it feels very errmmm… i wouldnt say it is powdery, but is really waxy. Yet, it does make me feel a little sticky after finishing applying. Usually, i thought that Matt/Waxy and Sticky dont go together but shrugs. So, anyway, the stickiness is still not that bad and i am cool with it. 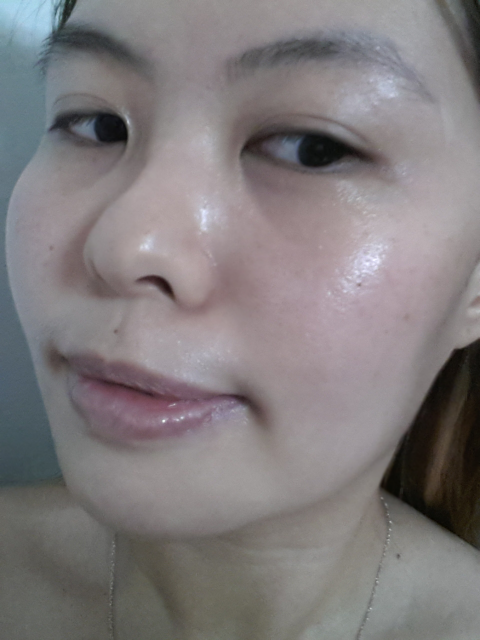 Went to sleep with the cream on and woke up to smoother skin. 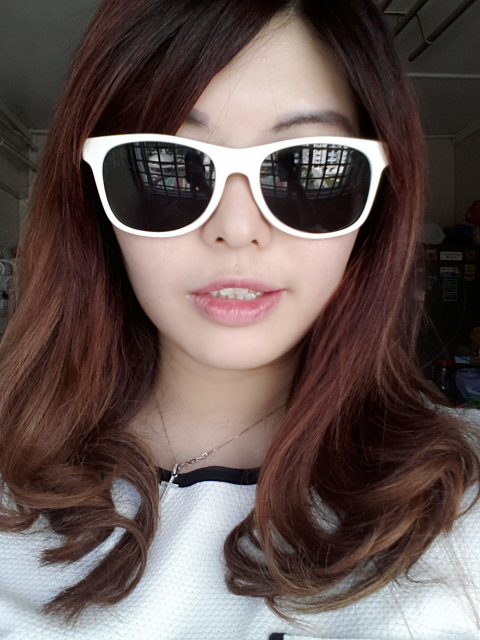 However, i wouldnt say it is really miraculous, it is just smoother, like “normal smoother”. Nothing spectacular. I wouldnt spend the amount on the tub because it works almost the same as any other moisturizer but if you are a sucker for great scent products, then perhaps you might give it a try? majestic Hada Labo SHA Hydrating Lotion. This is a sponsored review but rest assured that this post will be as honest as the rest of my sharing because even without the sponsorship, i have always been a regular customer of Hada Labo. You would have known if you read my blog regularly, or you may read my previous entry HERE. Recapping abit, I was whining to my little sister about how “flaky” and dry i feel about my skin and she passed me a bottle of Hada Labo SHA Hydrating Lotion. I did not really pin my hopes high because i was already trying out the famous “Miracle Water” (not gona slam the brand but you should know which one i am talking about) but there was no miracle for me and that bottle of “Miracle Water” was not cheap, despite the fact that it was given by a working partner. 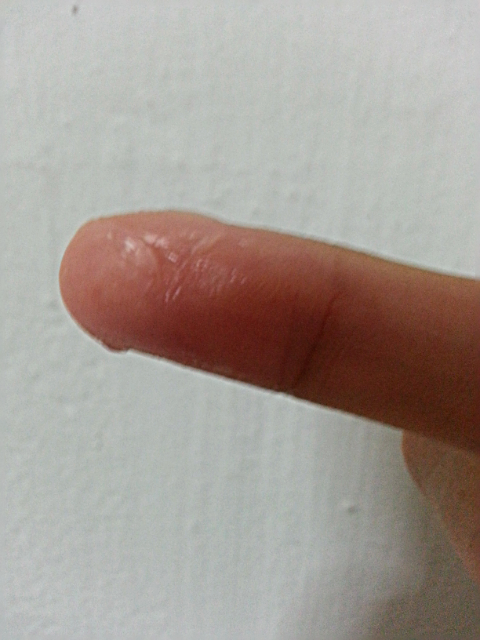 Having the mentality of “no harm trying”, i slapped on the Hada Labo SHA Hydrating Lotion all over my face. Well, according to the advertisement, a drop of Hada Labo SHA Hydrating Lotion can lock up an ocean. To be honest, i was still skeptical then but really, it was one of the best decisions i ever made for my skin in my 20+ years of life. Yah, you might think it is a little too exaggerating, but trust me, i wouldnt praise the product if it is not giving me any result. Not even if it is sponsored. You know how much i detest manipulating untrue reviews. 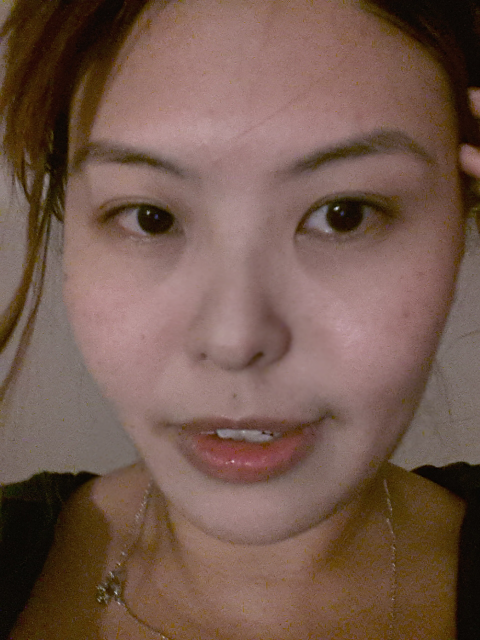 So, back to what i was saying, the result was instant and i can feel my flaky skin turns smooth immediately. But there was no harm trying since it makes me feel good and thus i started using it daily, twice a day, morning and night. 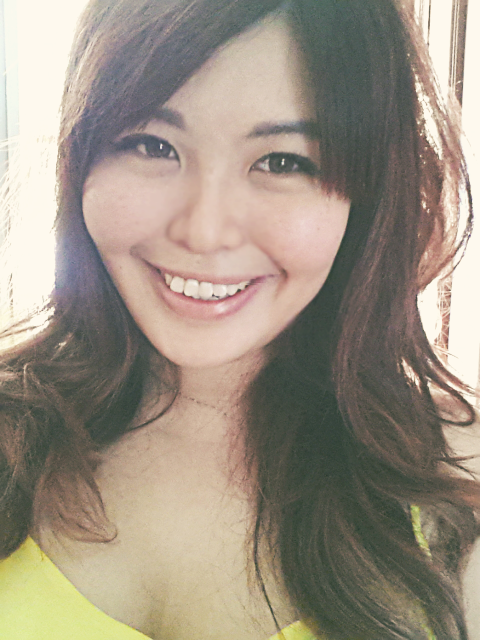 My skin has never never feel so hydrated and bouncy. 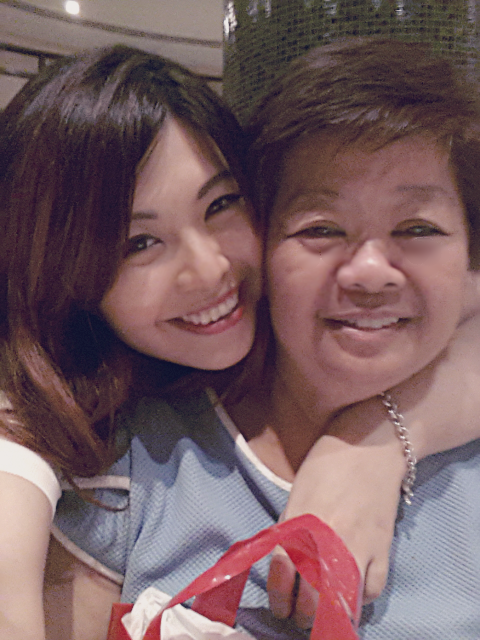 and ever since the day i started on this product, i have no regrets but i am filled with contentment everyday. 6) Besides hydrating, it acts as a toner. Seeing is believing, and i have always stood by my principle of showing what is real during a sharing/review. No filter and editting is needed because i want to show the true result instead of a picture filled with filters and edits. Right, i will indicate if the photos are unedited, as i do not feel good ‘deceiving’ readers. lol, it’s just me. 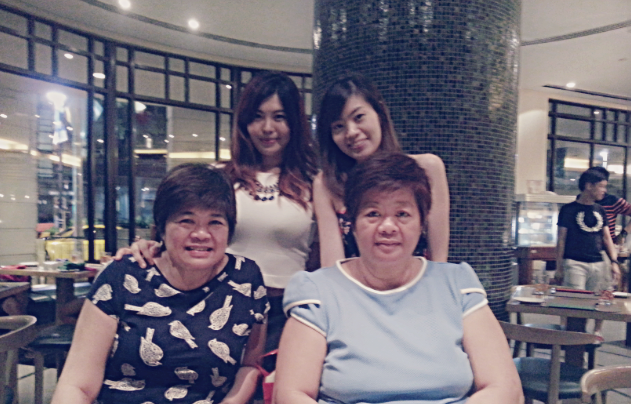 This photo is filtered. 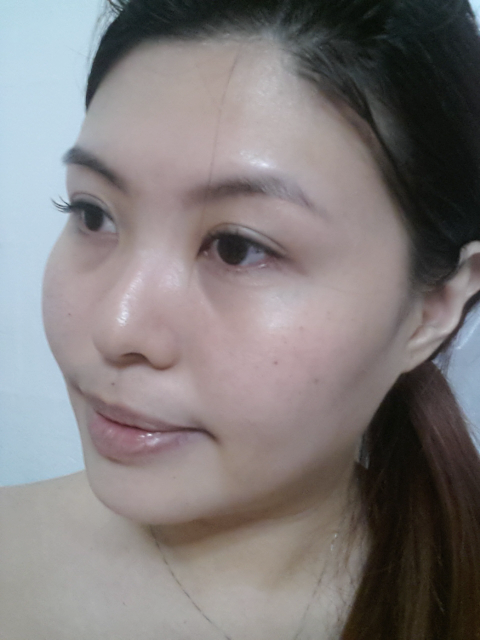 But there isnt much diff to the texture and condition to my everyday skin. More pictures below! 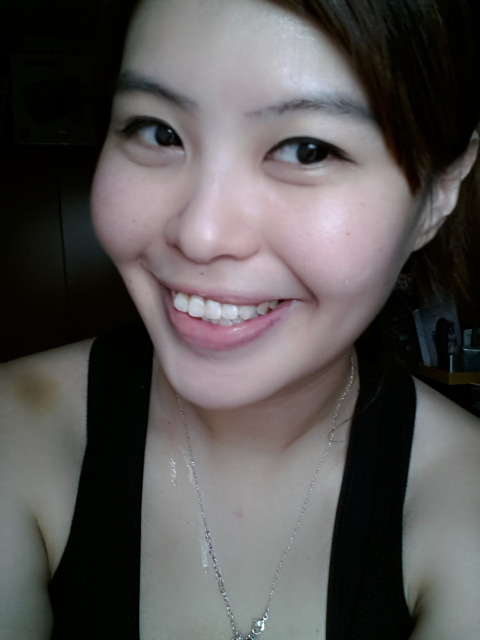 Pardon the perspiration, pic was after Zumba. I only had my eyeliner on. The Hada Labo brand reached Singapore shores in June 2010 with the introduction of the no. 1 face lotion in Japan, Hada Labo SHA Hydrating Lotion. Its star ingredient, Super Hyaluronic Acid, can retain 12 litres of water with 1 g (2X more than normal Hyaluronic Acid), giving abundant moisture for bouncy, smooth skin. 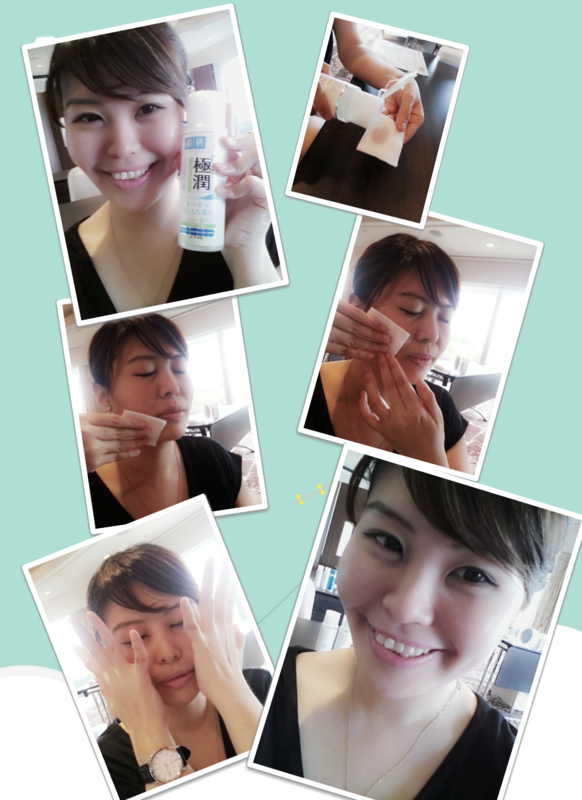 After cleansing, i slapped on the Hada Labo SHA Hydrating Lotion. 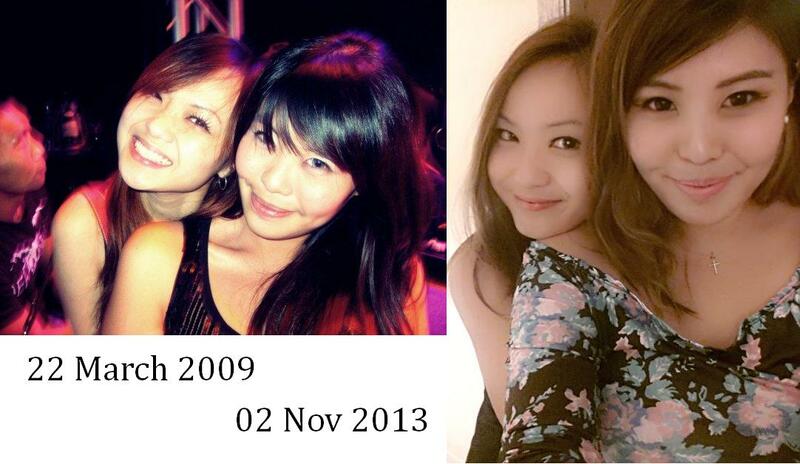 Both pictures show the skin condition with only 1 layer of foundation, un-edited nor filtered. here is another piece of Great News! 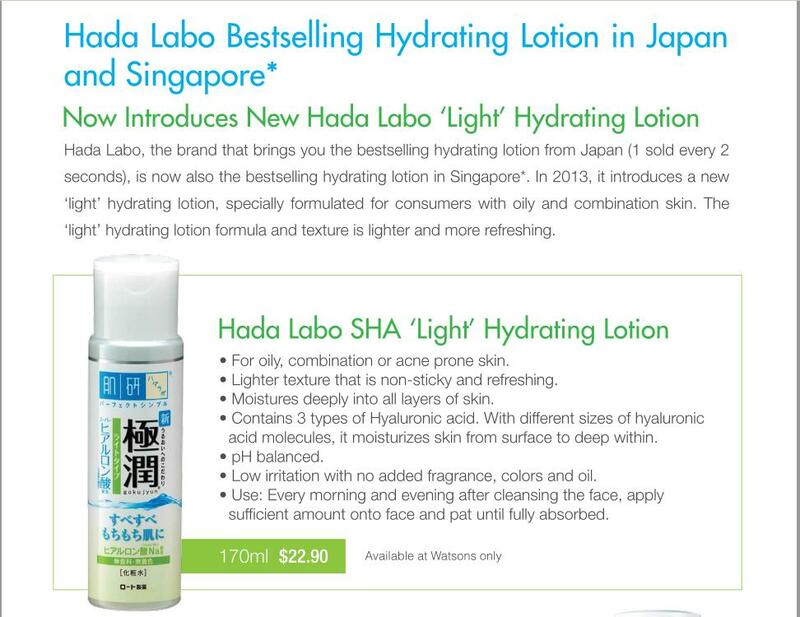 Hada Labo, the brand that brings you the bestselling hydrating lotion from Japan (1 sold every 2 seconds), is now also the bestselling hydrating lotion in Singapore*. 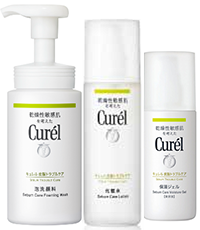 In 2013, it introduces a NEW ‘Light’ hydrating lotion, specially formulated for consumers with Oily and Combination Skin. The ‘Light’ hydrating lotion formula and texture is lighter and more refreshing. please note that it is currently available in Watsons only. *Japan Intage and AC Nielsen Singapore 2012. 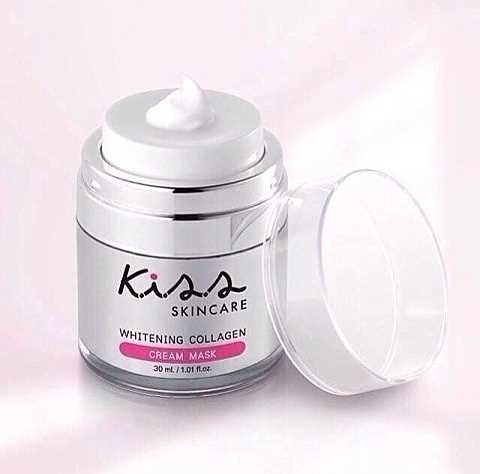 Like what i always say, i always trusted Asian brands when it comes skincare as i believe they know what Asians really want and need. 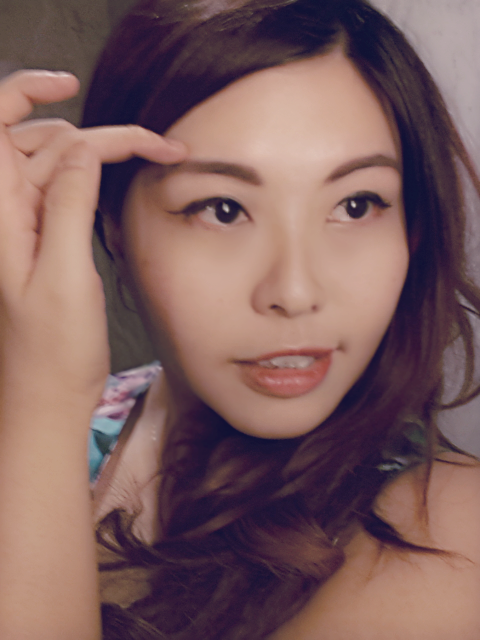 Step 4: Pat on face with whole palm using gentle pressure. 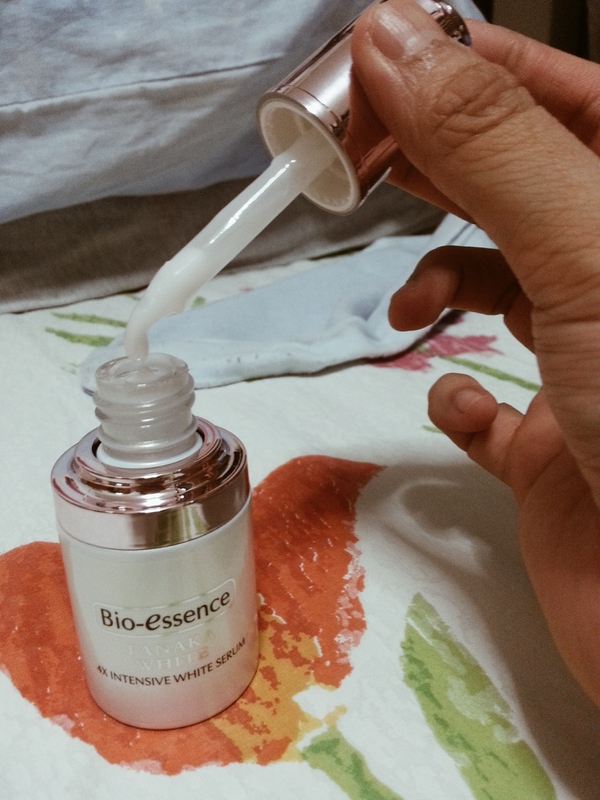 Step 5: Use Super Hyaluronic Hydrating Essence followed by Hyaluronic Hydrating milk. 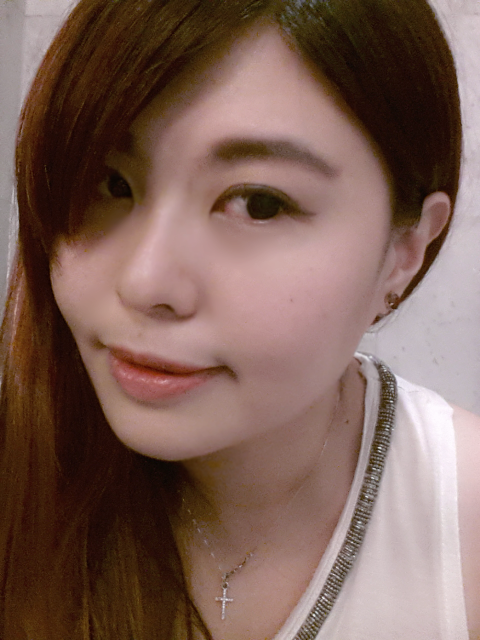 Also, there is always a myth of people having ‘breakouts’ after they stop using the product. This is untrue for Hada Labo SHA Hydrating Lotion because there was once or twice that i forgot to apply after cleansing because i was too tired and i only realize it the next day when the skin felt a little drier. But definitely NO breakouts nor major issue. Having said that, I cant say the same if i stop using the product for more than a week or month because i have never want to stop using it due to its effectiveness in giving me the bouncy and translucent skin that i desire. Another plus point of the product is definitely its pricing. Priced at $22.90/ bottle of 170ml, i doubt you can find a more affordable product out there that gives you the desirable result as Hada Labo SHA Hydrating Lotion. I HAVE GOOD NEWS FOR YOU READERS! 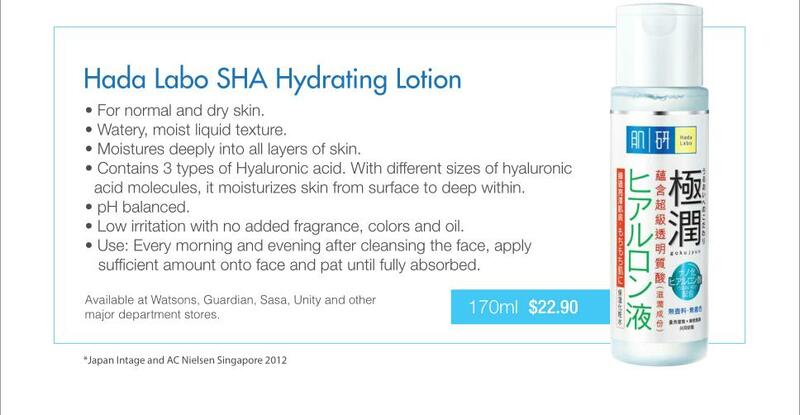 You may redeem your HADA LABO SHA Hydrating Lotion sample via this FORM! Redemption starts from 29th Oct 2013, while stocks last. Alright, i really gtg, hope you like what i shared today! 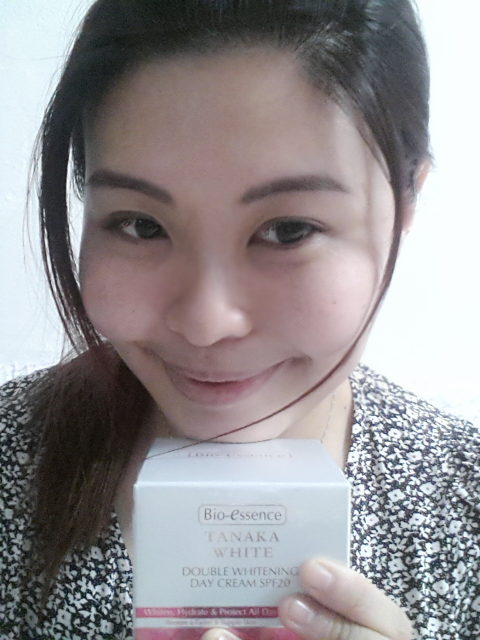 Big thanks to Hada Labo, http://www.samplestore.com and Ms. Elfaine Tan! 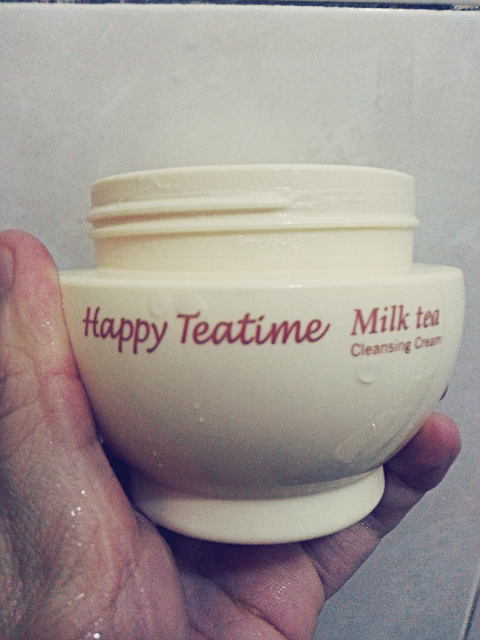 Today i am gona share about Etude House Happy Tea Time Cleansing Cream (Milk Tea flavour). Yums, sounds yummy and i am reminded of 珍珠奶茶 (Pearl Milk Tea) every time i mention this product. But Cleansing Cream? Very rare to me. 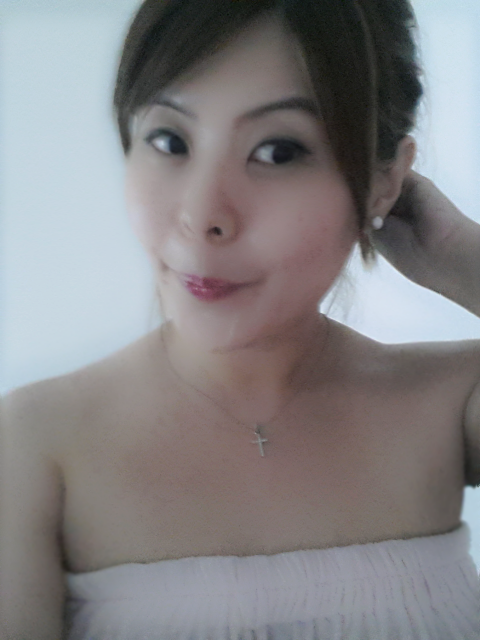 Perhaps i wasnt a beauty junkie to start with, pardon my suaku-ness (ignorance). 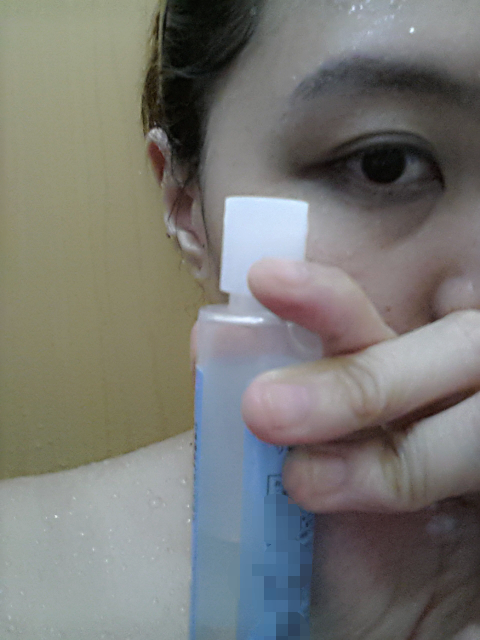 Anw, the real reason why i decided to buy this product was because i am running out of make up remover. Yes! You heard me right, this cleansing cream actually works as a make up remover, and according to the promoter, it moisturize your skin at the same time. Because it is never a bad thing to hydrate and moisturize my skin more since i have dry skin, i bought a tub to try. So, you must be thinking what are the 3 different flavors for. Well…. I Dont Know. Chill. That was what the promoter at Etude House told me. But for the benefit of my readers, i did a mini research on the differences. So What are the 3 Flavors About? Basically, i read up and gathered that Milk Tea is more for sensitive skin and it is hypoallergenic. 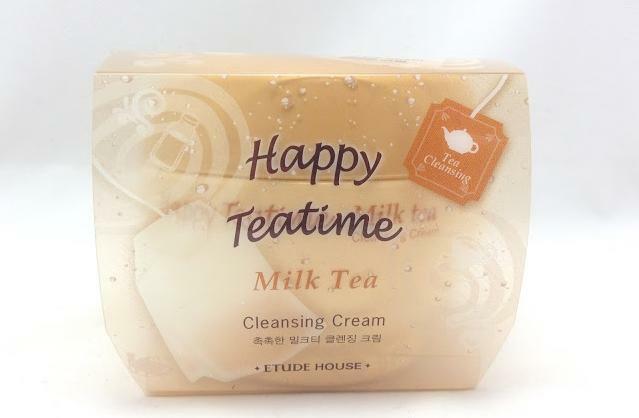 This Etude House Happy Teatime Milk Tea Cleansing Cream is formulated with Milk Protein to remove dirt and makeup while keeping skin moisturized with the pleasant fragrance of tea. Lemon Tea is for oily skin and Aloe Tea is for dry skin. 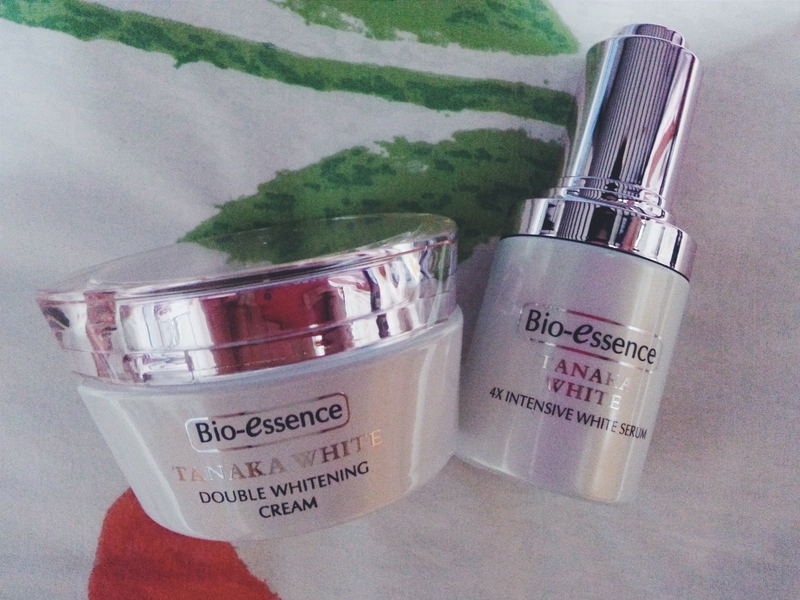 Most of the time, all 3 of them work equally as well for combination skin. 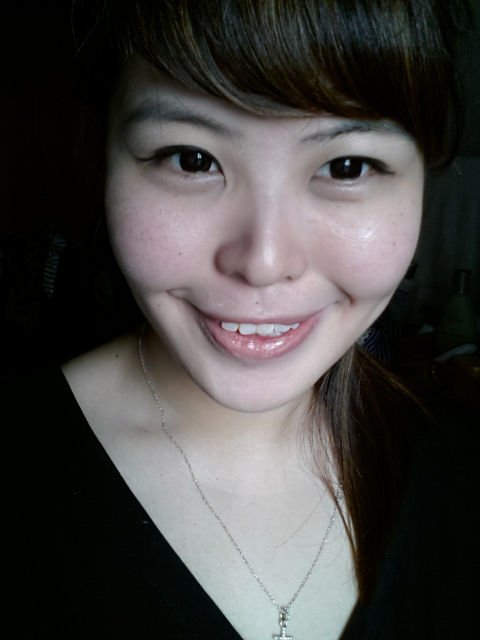 How do you remove make up using Etude House Happy Teatime Milk Tea Cleansing Cream? Apply cream to all areas of the face. Massage thoroughly and wipe clean with cleansing tissues or rinse with warm water to remove excess. 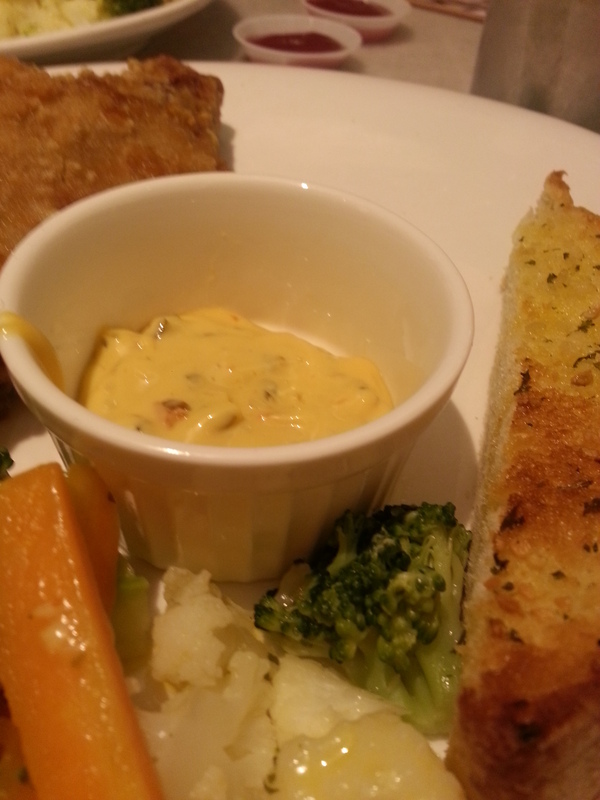 Here is the rich white cream. it glides on easily and feels very soft against the skin. I would say it is easy to spread on the face. There is also a mild milky smell. 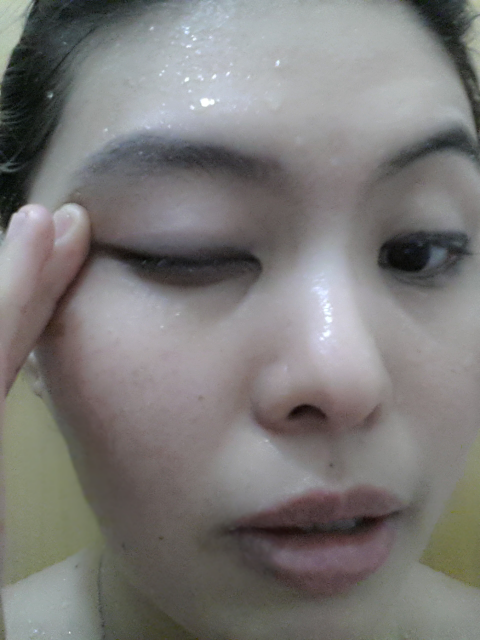 This is the comparison between the both make up remover. 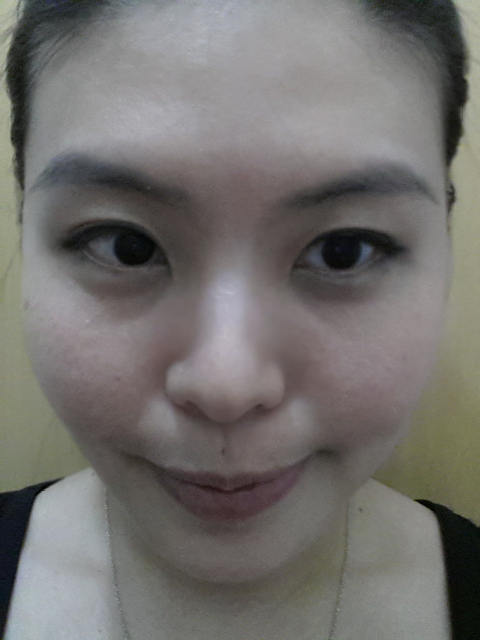 Verdict: The eye that was cleaned by Etude House Happy Tea Time Cleansing Cream ( Milk Tea) appears to be cleaner. 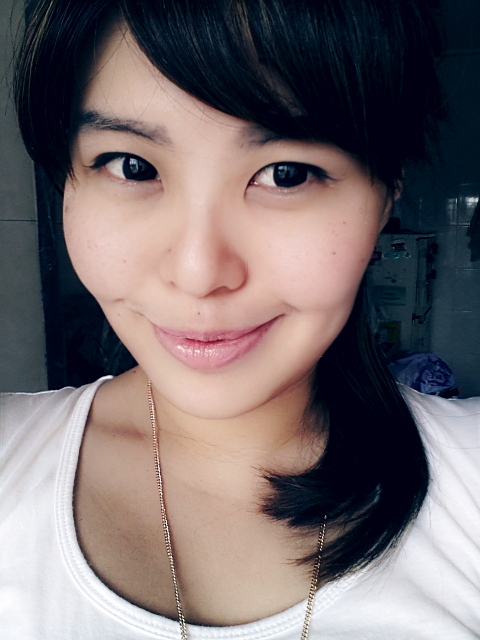 My whole face is cleaned using Etude House Happy Tea Time Cleansing Cream ( Milk Tea). Does it sting or prick the eyes? It is almost impossible not to get the makeup remover into the eyes. I especially hate it when my eyes are pricked while i remove the stubborn stains. 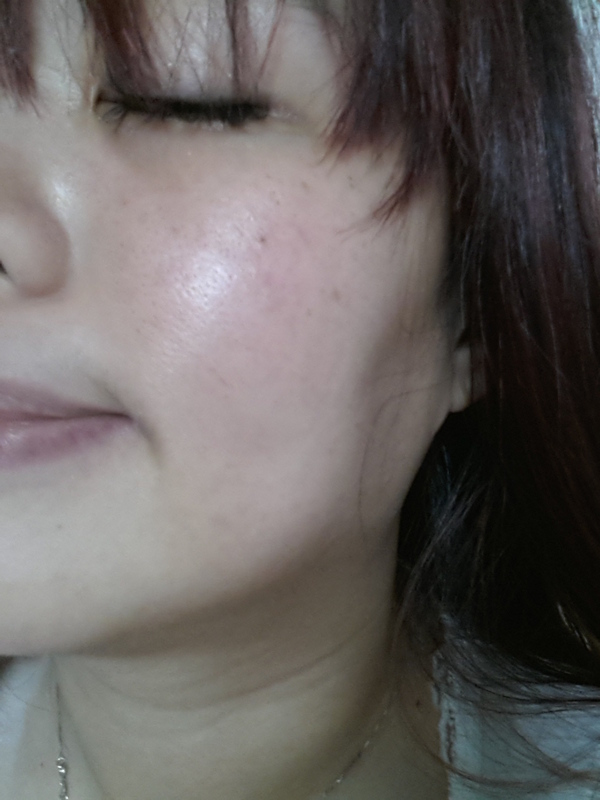 Imagine my relief when Etude House Happy Teatime Cleansing Cream doesn’t sting or irritate the eyes. 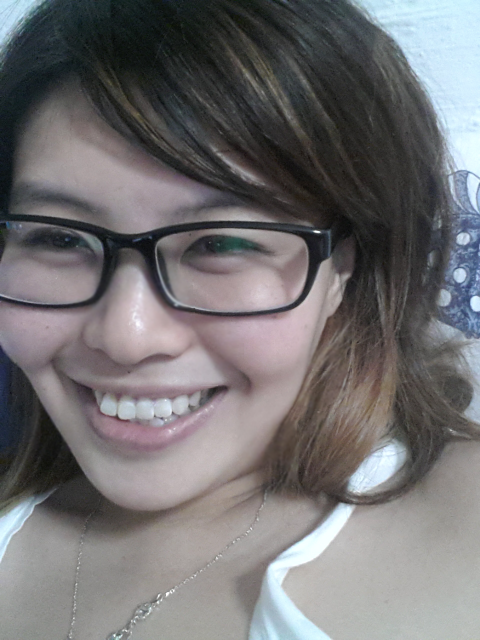 However, it does make my eye sight a bit blurry for a few minutes but that’s about it, not painful, no major fuss. 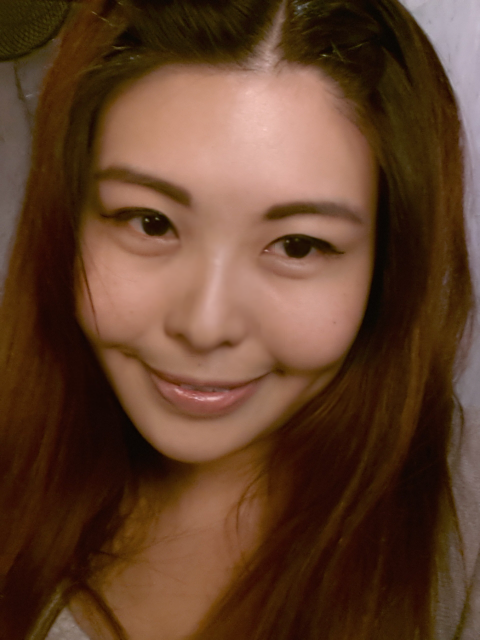 Etude House Happy Tea Time Cleansing Cream ( Milk Tea) melts away most of my makeup. It removes almost everything except heavy duty mascara and heavy eye make up. Etude House Happy Teatime Cleansing Cream does a pretty good job for light to medium coverage foundations and water-proof eyeliners. 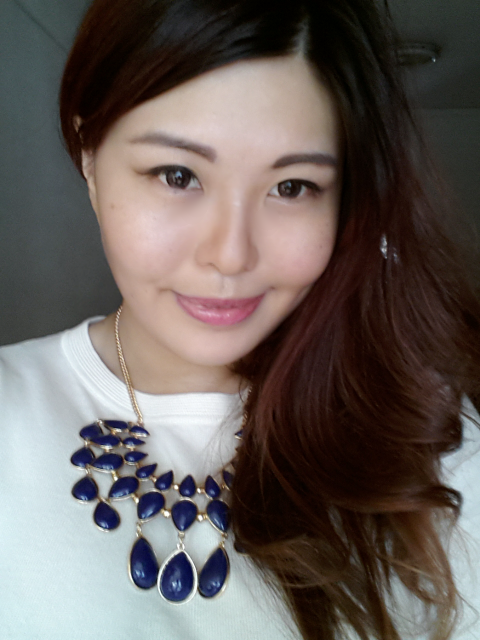 Usually, it is easier to remove make up like this using Etude House Happy Tea Time Cleansing Cream. 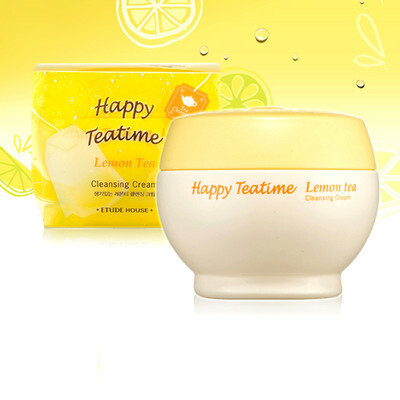 Etude House Happy Tea Time Cleansing Cream does not really work its magic that well if you are expecting to remove heavy make up like the above. 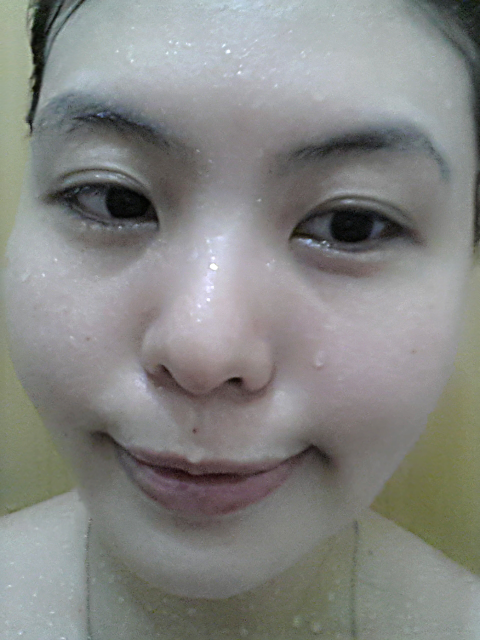 One thing that i dislike will be the oily feeling i get after cleansing,. 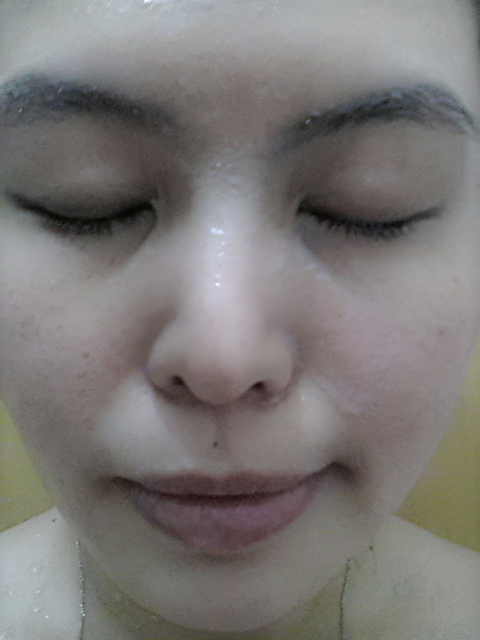 I know that it is not necessary to cleanse another time with my cleanser but i did, because i hated that oily feeling. 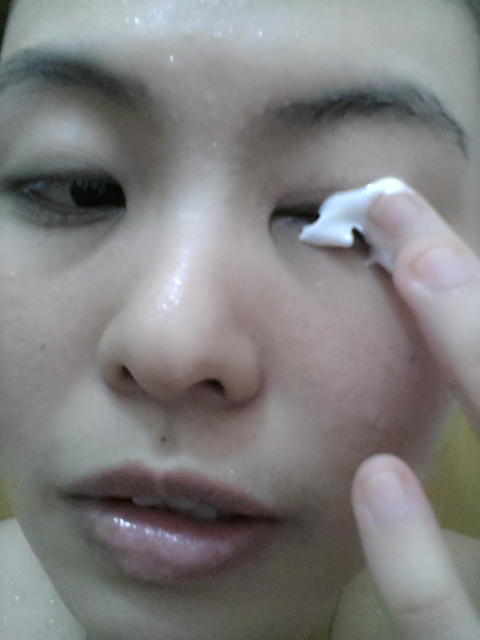 I love the fact that the cream is so soft and gentle, it doesnt prick my eyes like other make up remover. 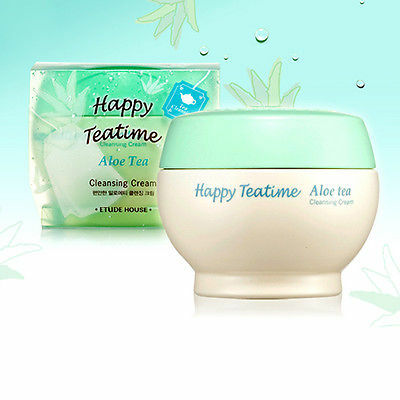 Overall, I’d say that Etude House Happy Teatime Cleansing Cream is worth trying – it’s affordable and effective most of the time. It does help in making the dreadful process of removing makeup after a long tiring day more bearable. However, i am still on a lookout for better make up remover, thus i will definitely share if i manage to find a better product! Followed by the last post of me introducing Vshares, i would like to share about my very official First Vshare. To make things easier, i will categorize the service/products and i will give verdicts and my own opinions as below. Of course, there are always ways to improve, do let me know if you have any feedbacks or ways to improve Vshares! Your comment is very much appreciated. In this case, Skincare as it is. Value for money is how affordable it is comparing to market price, you see 4 Vs and that is on the scale of 5Vs. 1 V means it is extremely expensive and 5Vs means it is very affordable comparing to market rate. Thus here, i am suggesting that it is rather affordable. Level of Service is to tell you how satisfied i am with the service. Please bear in mind that i am Not fussy but i am rather particular with services. In this case, i gave 2 Vs out of 5Vs. Which also means that the service basically fail because it is like 2 stars out of 5. Likes means how much i enjoy/like the service or product in overall. In this case, it is a major flop. Personally, i never like buying vouchers off deals companies, especially when it comes to services that requires me to make quick decision and commit to packages. I was from the beauty industry sometime back and i know perfectly how and why these vouchers are sold cheaply, to lure potential new customers in. In the past, i used to pressurize the sales consultants to do whatever they can to sell and secure the customers. Of course, hard selling is not encouraged but that is really not what i can control. For my part, i just want sales. 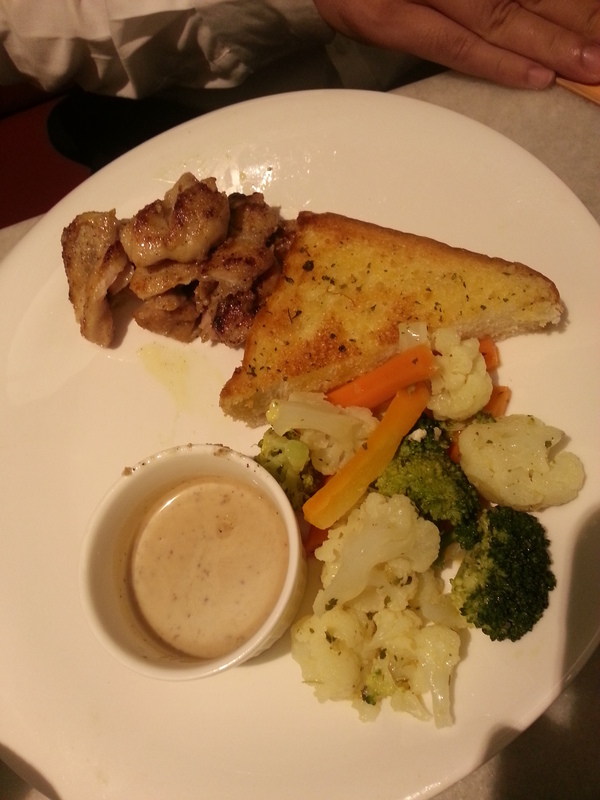 But if there r any complaints of hard-selling, i had to rectify as well, it is just…difficult. Thus…i quit! hahaha. Ok, honestly, that is not the reason why i quitted. You might be asking now, why do we still go for it since it is clear that we are gonna be attacked by some hard selling craps. Well, we are very sure it is a one time off thing, it is agreed between the 3 of us. 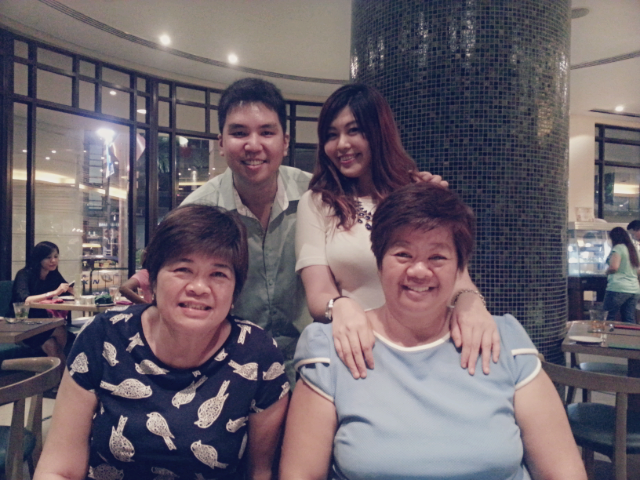 It is purely for fun and just another get together bonding time for us. 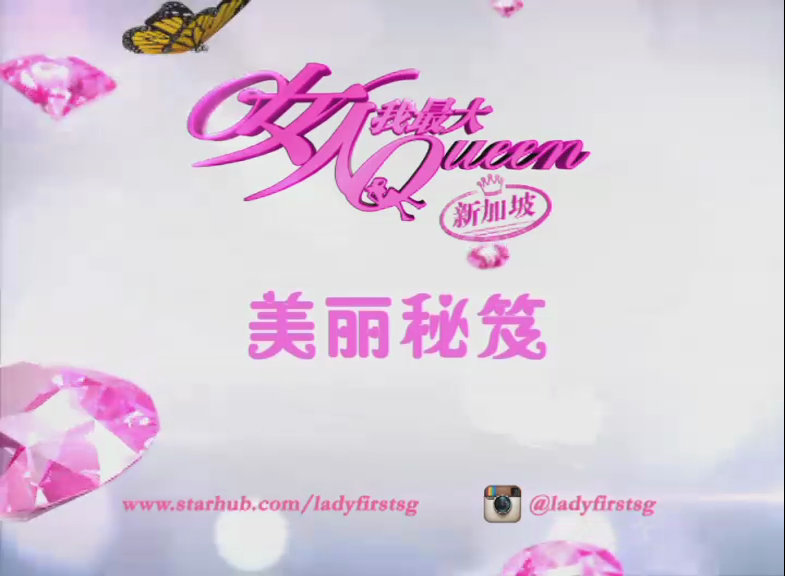 However, it will be exceptional if we really fall in love with the services and all but very unlikely. So we entered the shop…and i just realized that i forgot to mention the name! 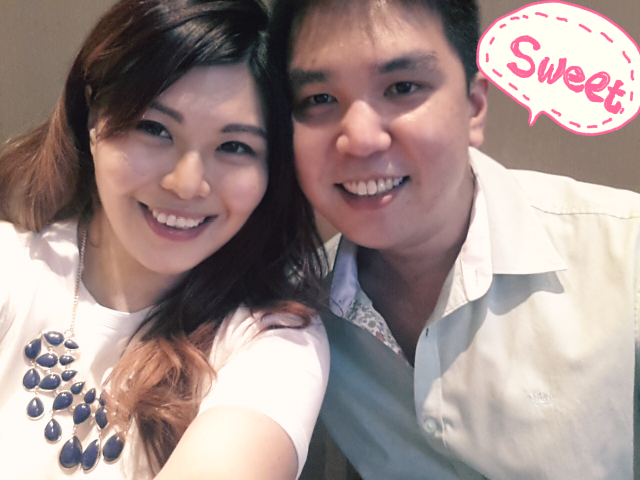 Haha, ok, we went to Asian Skin Solutions at Parkmall. 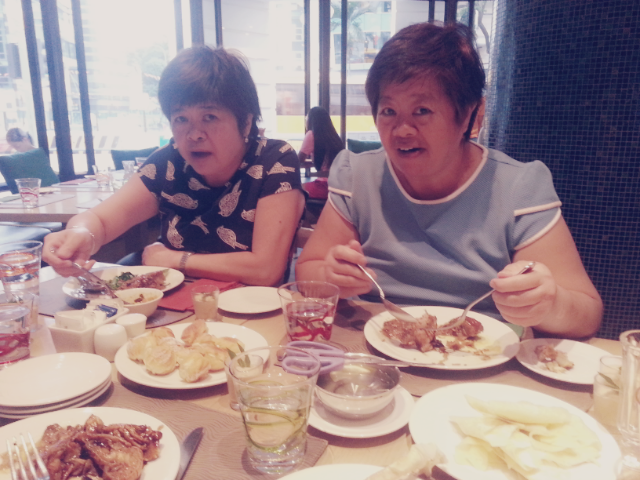 We were 10 mins late and we understood that we might have to let others have our slots since we were late. 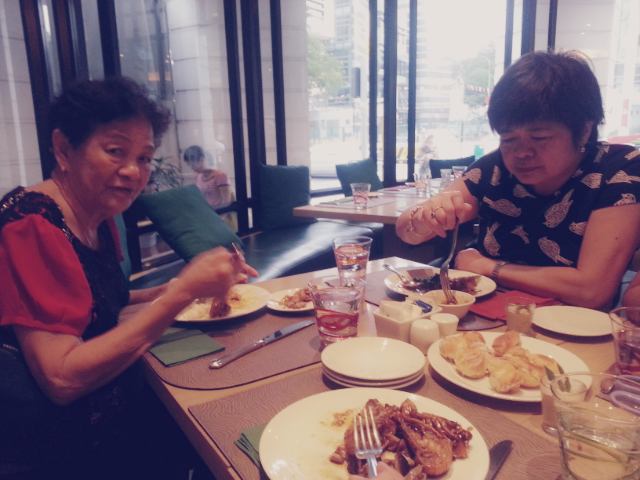 The recept were China ladies, they were friendly and polite. 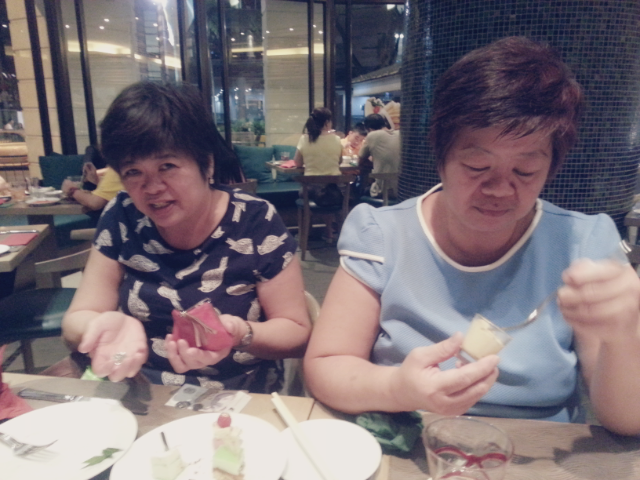 They were polite even though we are not their regular customers. That is a plus point. As usual, we filled up some forms, and were asked if we want drinks.It was 7.15pm then. Half an hour passed and it was already 7.45pm. 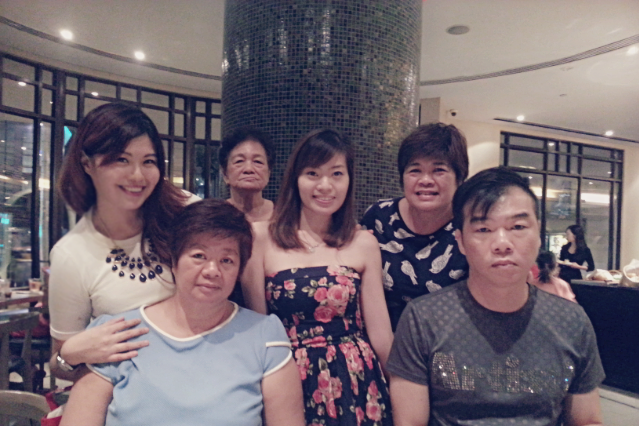 I was abit frustrated because we were late for 10mins but we have to wait endlessly till God knows what time. 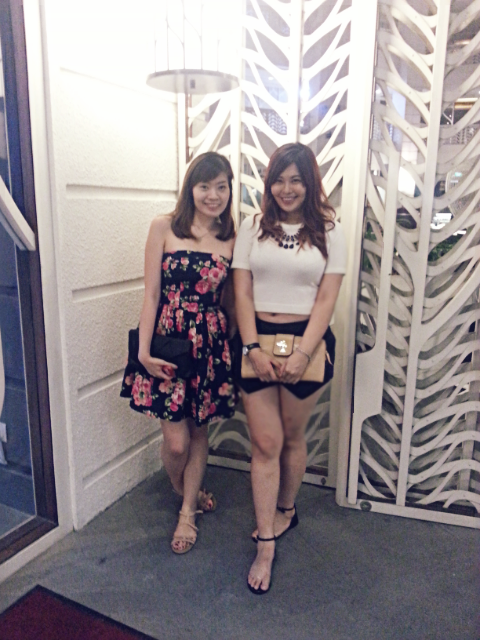 Nobody say anything to us after asking us if we want drinks half an hr ago. We were told to wait but they said have no idea how long we are gonna wait. This is rather unprofessional. I started to ask how long more must we wait and i guess my face spells frustrations and they then invited us into the consultation room. 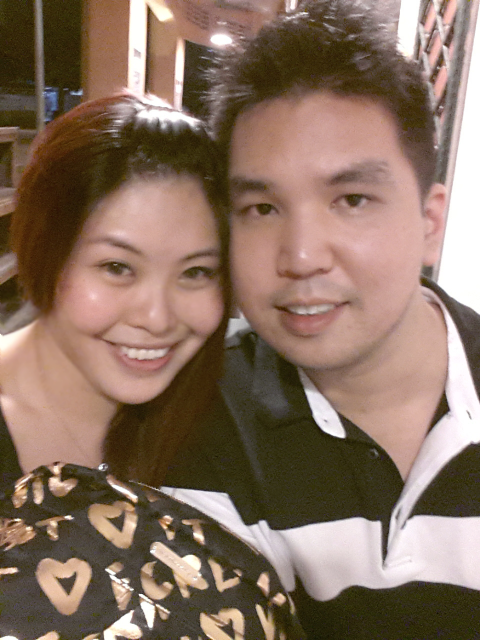 We waited for another 10 mins before a sales consultant/ beautician came to check our skin for us using their machine. 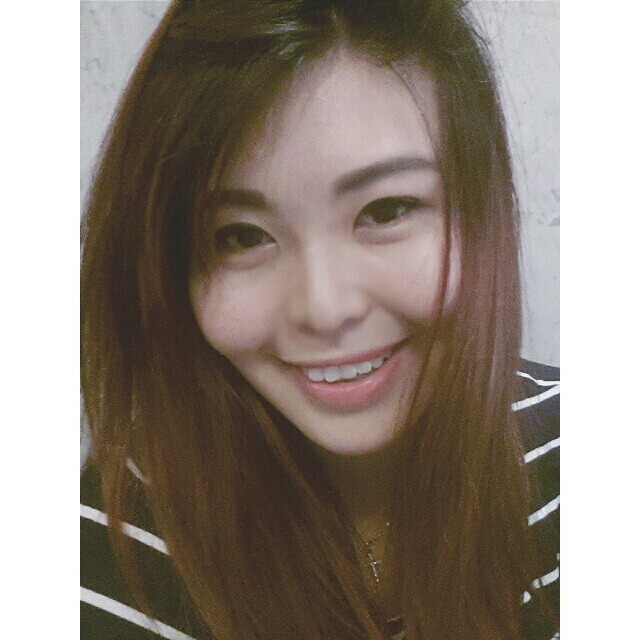 She shared with us on our skin problems and how we can improve our skin. 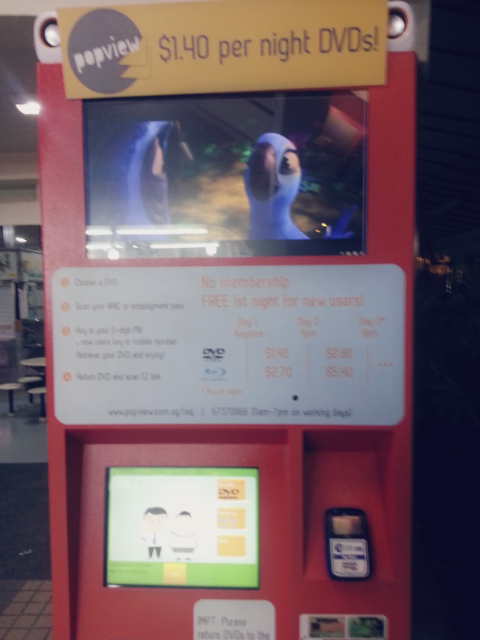 Meanwhile, she fumbled with the machine as the machine couldnt work. She asked me why it doesnt work. Yes, you heard me right, she asked me why Her machine doesnt work. I just smiled weakly, maybe she is joking, i thought. Sorry, really sorry when i say this but i felt i really need to include this. 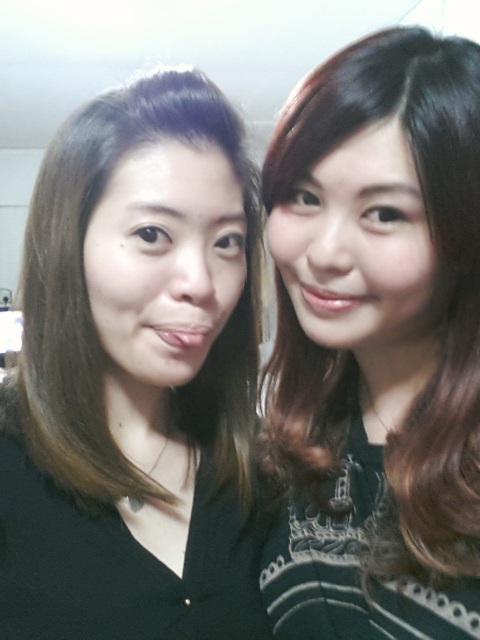 The beautician that came and check our skin for us, her skin was really bad. 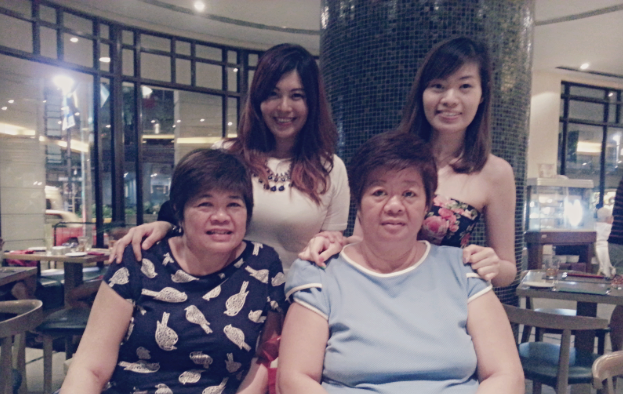 My skin is def better, but even my Mum and Sis have better skin than her. Imagine. I do not want to be mean, but i really feel that if you cant even take care of your own skin, how can i ever trust u (to take care of mine)? Yes, for eg. a Personal Trainer doesnt necessary has to be super Fit to be able to train you but frankly, how to trust someone fat that cant even take care of himself/herself to take care of you? We each went into the room and we really did not expect fantastic services because we bought cheap deals vouchers, we know where we stand. Haha. 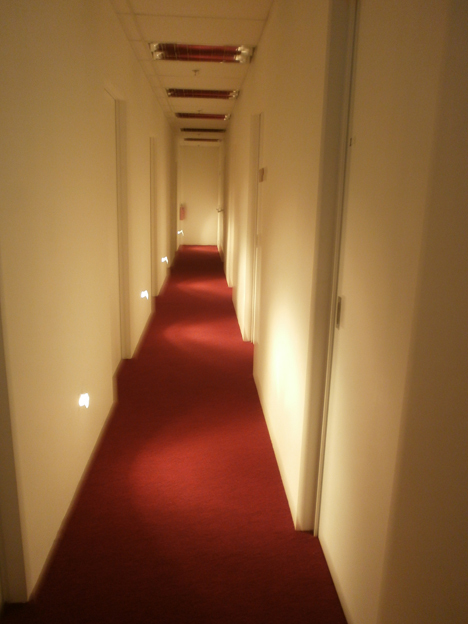 But well, i have to admit that the service is not too bad in the room, is almost the same as what you will get in every decent beauty parlous, the usual. Then we started with our treatment respectively. It is relatively fast as i can feel there is abit of rush there. However, we ended the sessions at 10pm. 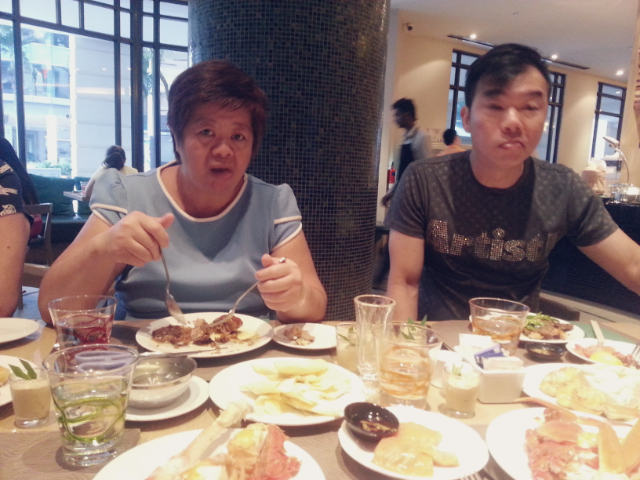 Sigh, we were hungry and tired and we havent had our dinner. 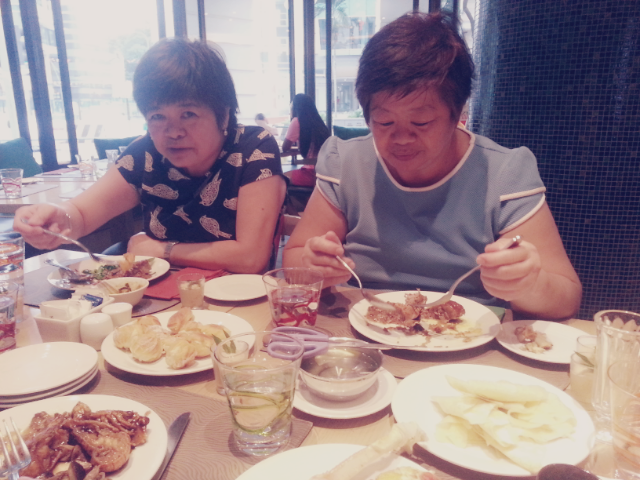 We wanted to rush off to eat because all of us were famished. 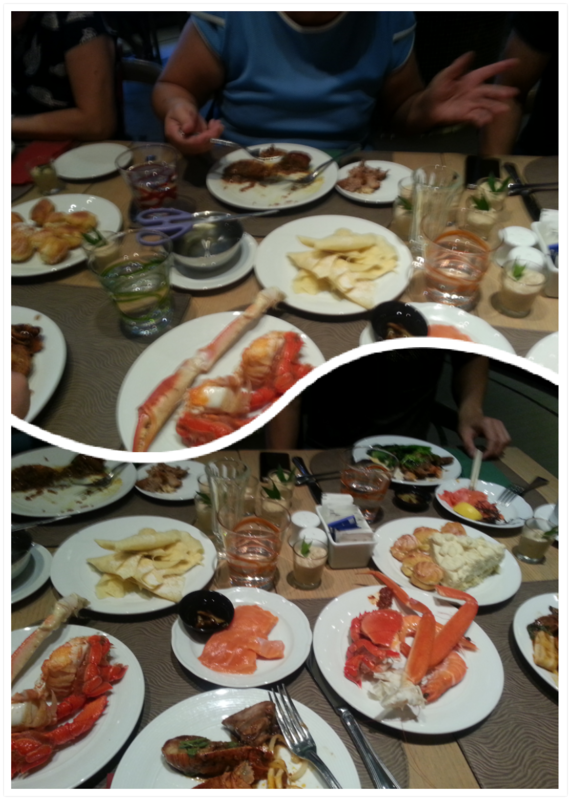 However, the sales consultant/beautician actually said: aiya, we also havent eat leh! I was like..who cares? 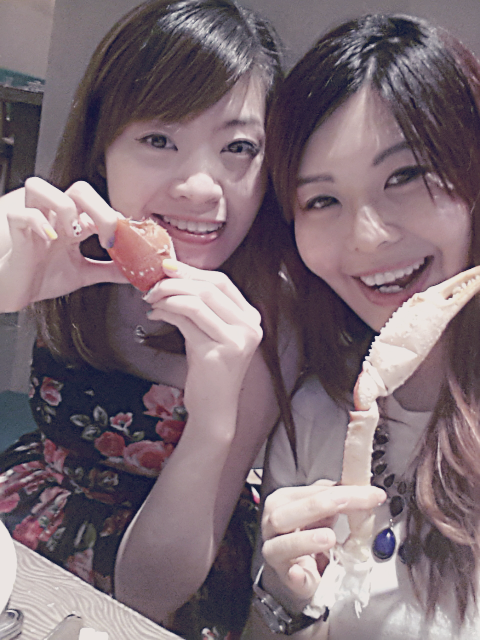 If you wana eat, then dont hard sell lor. 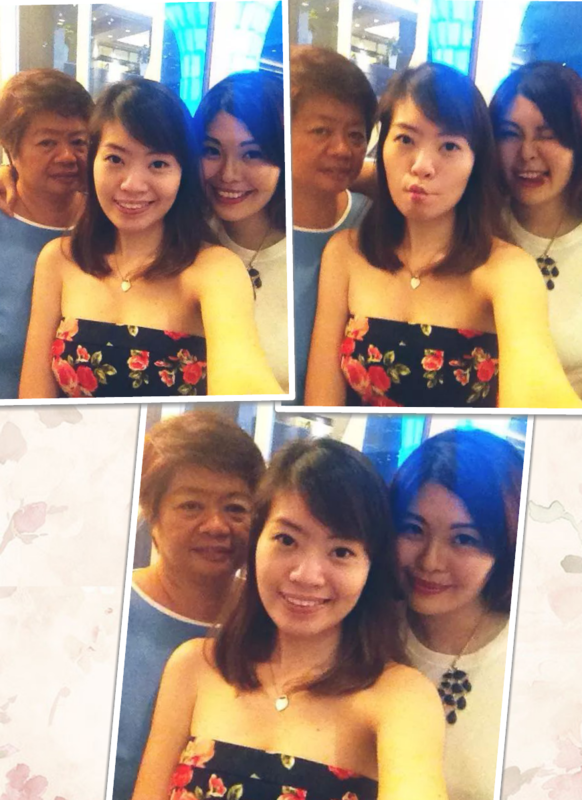 But my Mum was kind enough to say: aiyo, why you work till now and never eat. please go eat, we shant hold back your time. The lady replied: thats why, i am telling you the discounts and all you can get for signing package today, i am not expecting you to sign like $2000 or $1000. It is only $888. You know that numbers is very important to us, we only want you to commit so you wont go elsewhere, no matter how much you sign, it is ok, we just need you to be with us. The whole convo was very long and it went on for another 1/2 hr despite the fact that me and sis kept saying no, despite the fact that my mum was SO PATIENT and keep telling the lady that we do not want to commit to any packages. We just want to go off for dinner and we will consider coming back if we want. The lady was super impatient and said: do you think u will come back? I am telling you to sign the package. I am even willing to offer you $388 for 10 sessions, which means per session is $38. You are aware that you cant get this price elsewhere right? It is only $38 per session and you are unwilling to pay, how would you come back next time? 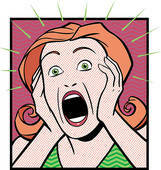 Because next time you are back, the package offer will not be $388 anymore, it will be $180 per session. 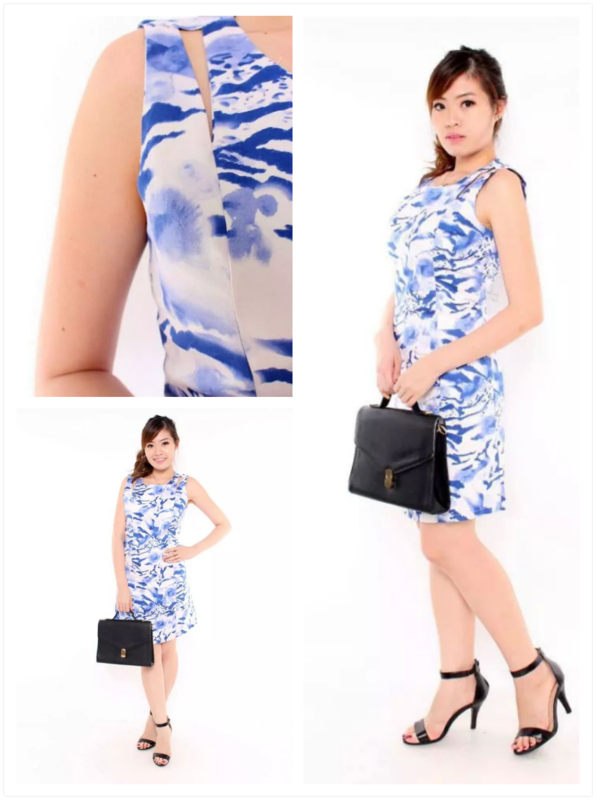 Moreover, from $1700+, i have reduced to $388 for you at student price. I am not supposed to do that you know. She continued: who in this world will pay $180 for 1 time of facial? Would you? I: then why do you want to charge so high? She: so to encourage more sign ups for packages. now that you know we can go as low as $38, you wouldnt pay $180 the next time round. You will not be back anymore. This whole frustrating thing went on for so long till i was very giddy. 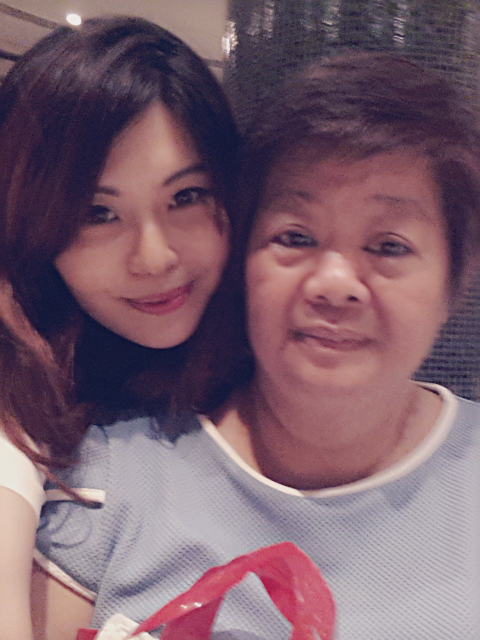 Mum was polite throughout and she really was behaving like a lady to reject politely again and again. Actually, i really understand that these people have targets to meet, but despite being aggressive, one has to really consider the well being of the customer. We have not had our dinner and i thought it was rude to hold us back. We did apologized for holding them back because we are not their potential customers that they were expecting. But by telling me that they charge others $1700+ while giving us the $388 deal does not help because it is rather unethical. Sorry, i know that it is supposed to be some “secret” but i can’t hold back. It is not fair to anyone that goes there. But again, who knows how many people heard this “secret” before. Also, aggressive selling is good, but not at the expense of offending customers. The lady who said things like “i also havent eat” and “i want database, i want numbers but yet you guys are still hesitating” is really not cut out to be a sales person. 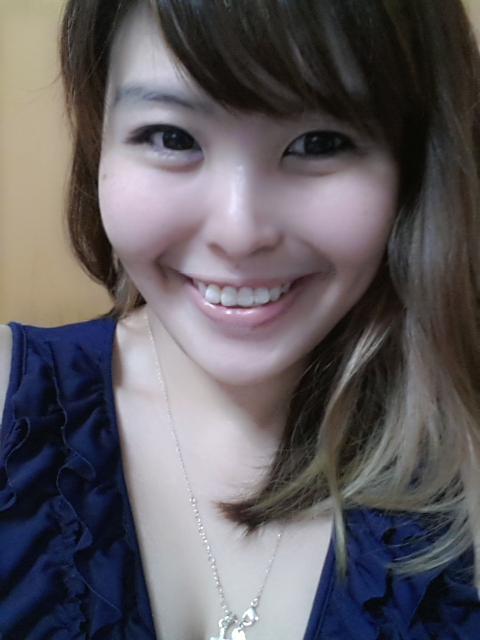 Overall, the experience at Asian Skin Solutions is unpleasant because there is no professionalism. I have worked in a bigger beauty company before, yes i admit there are bound to be aggressive sales persons and that makes everyone afraid to go to any beauty parlous. However, i have witnessed some of my ex colleagues to be very professional. They would be pushy but yet they know the limit. To be fair, the manager of the lady was rather ok. She was thanking us all the way despite hard selling and she was patient. She understood that we are not obliged to sign anything with them and thus she do not mind selling even though she has not had dinner as well. Having said that, i will not return because the whole facial and so called “Repaired Collagen” treatment did not impress me. I can do all those stuff at home myself. 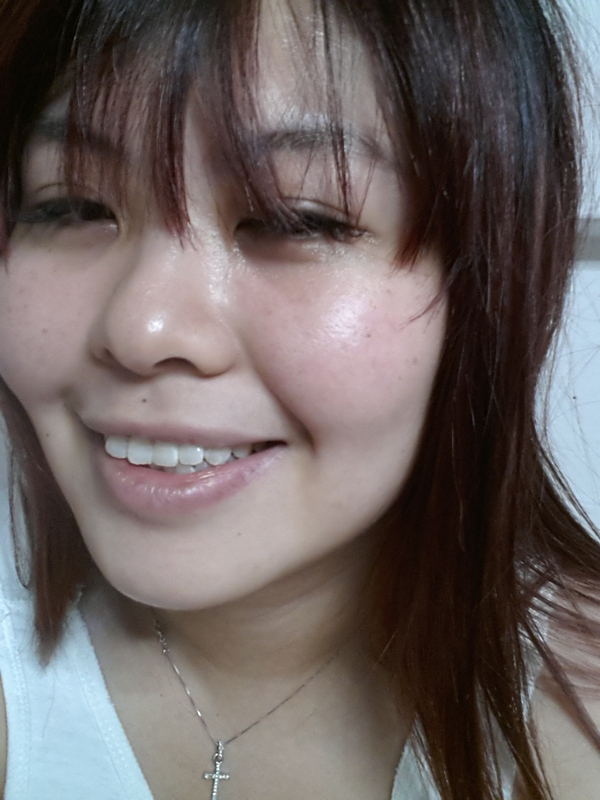 The after effect was normal and to be fair, 1 time of treatment cant really determine much. 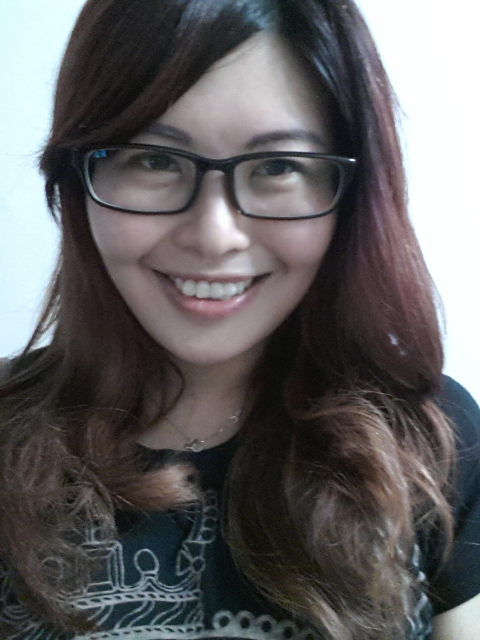 No doubt, the face looks lighter instantly but that is just NORMAL. Any facial will give you the instant radiance, that is just expected. 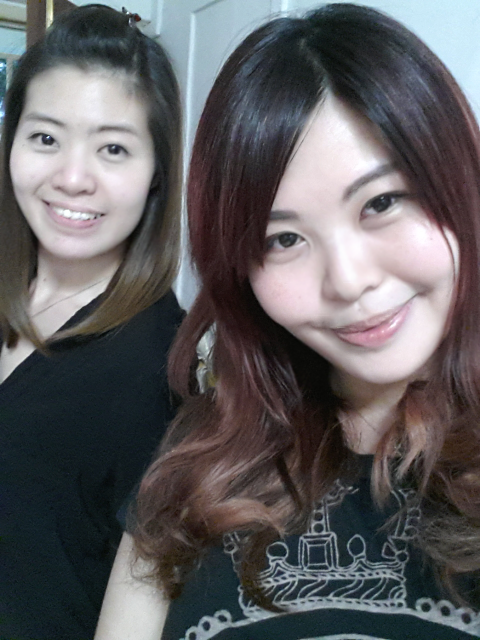 No filter, under warm lighting after the treatment. 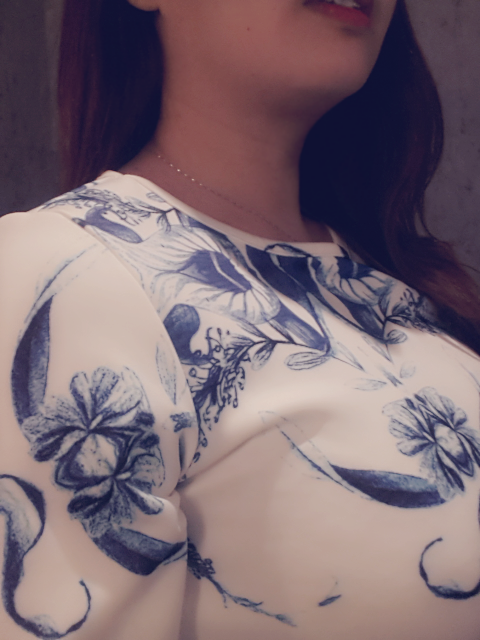 The “Repaired Collagen” treatment worth $380 per session, which they claimed to have given me despite the fact that my voucher only entitle me 2 times of facial (U.P $360). 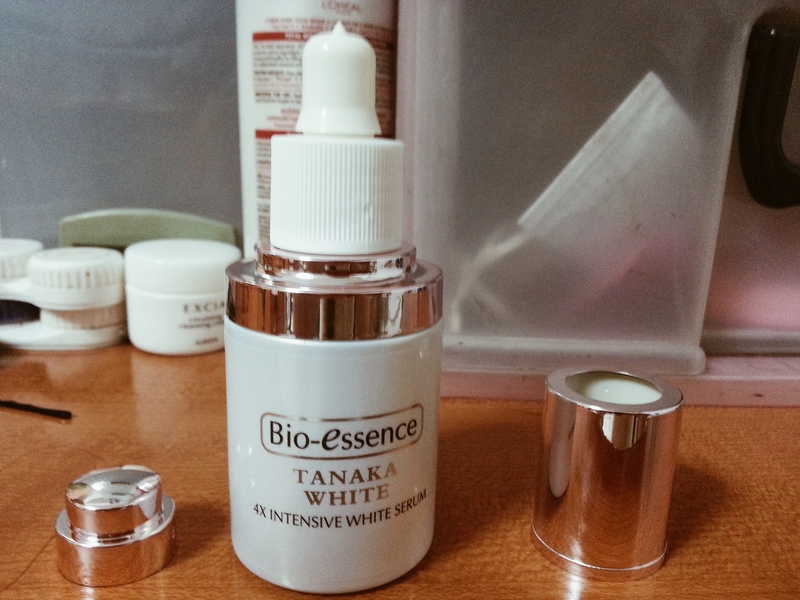 If $380 for a single time treatment is only so-so, i’d rather continue putting my Hada Labo 3 in 1 perfect gel then. So, nope, i am not going back because the hard selling scares the hell outta me, and the treatment is really nothing worth raving about. p/s it is not that i cant afford that $388 like what the beautician was suggesting and harping about, i just see no value in the product and services.